Create your Own Tropical Oasis with this Stunning Collection!!! 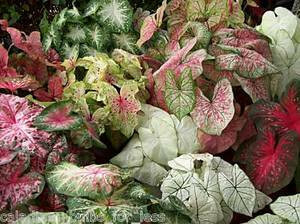 A must have for the true Caladium Collector!! There will be Red, White, Pink and Green Varieties in this collection. This collection is sure to add Spectacular color to ANY landscape! !